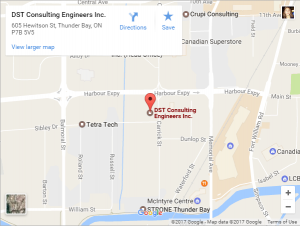 DST TO HOST 2017 SPRING UP TO CLEAN UP CAMPAIGN LAUNCH! 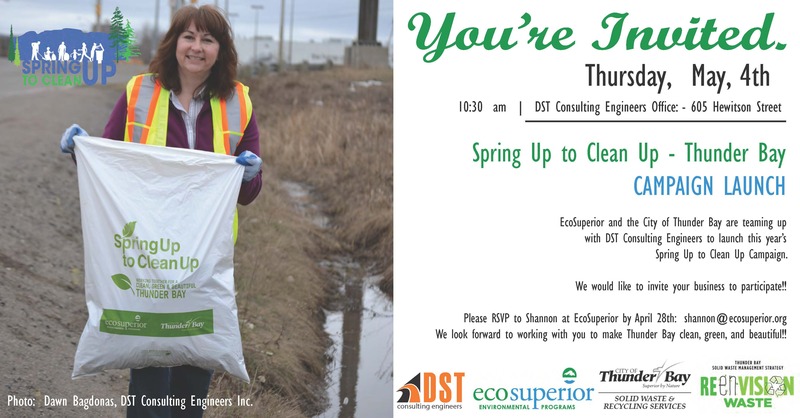 We are excited to announce that DST has teamed up with EcoSuperior and the City of Thunder Bay to launch the 2017 Spring Up to Clean Up campaign! Each year over 1000 employees representing over 100 Thunder Bay businesses step outside for 20 minutes to help clean up litter from their neighbourhoods. This event allows members of Thunder Bay’s business community to demonstrate their civic pride and take an active role in keeping our city clean, green, and beautiful. It is our pleasure to extend an invitation to everyone in the community of Thunder Bay to join us at the DST office and show their support for this event! There will be guest speakers, on location radio covering the event, and of course, delicious food following the clean-up. DST is dedicated to the practice of sound environmental stewardship and we have been a long-time supporter of this fantastic community initiative. We are honoured to be able to host this year’s campaign launch and understand that the continued support of this event, and those like it, contributes to the success and well-being of our community. Through participation in events like Spring Up to Clean Up, we reinforce our commitment to promoting waste reduction practices to limit impacts on landfills. To RSVP for the campaign launch, please get in touch with Shannon at EcoSuperior: shannon@ecosuperior.org or Amanda Sauermann at DST. Looking forward to ‘spring’ into action with you to beautify Thunder Bay.